We're going to step into Michael's workshop and watch him create a hardwood pen. You'll really come to appreciate the time and care that goes into each handcrafted gift item Michael produces. First you select the material you want to use. 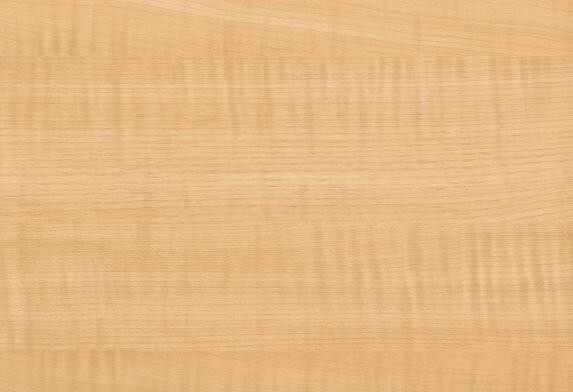 For this project, we've selected wood. Michael takes a block of wood 5 inches long and 0.75 inches square, and he cuts it down so that its length is just a bit longer than the length of the brass tube that will be inside the pen. 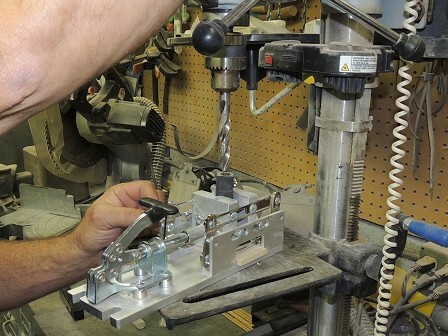 Michael next uses a drill press to drill a hole lengthwise through the block of wood. The inside diameter of this drilled hole exactly matches the outside diameter of the brass tube. 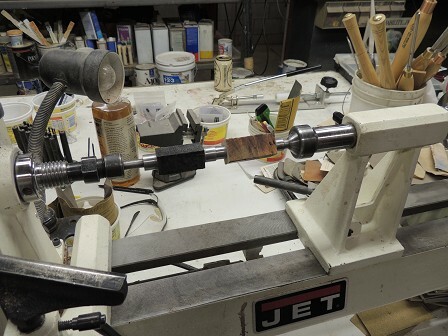 He put a thin layer of epoxy on the outside of the brass tube, and he insert it into the block of wood. Michael uses a very sophisticated drill press jig to hold the block of wood perfectly vertical while he drills this hole. 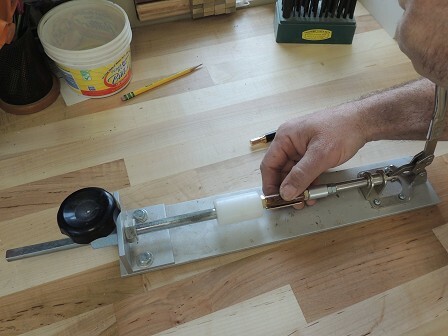 Now Michael uses a sander to reduce the length of the block of wood so that it matches the length of the brass tube. Using the sander enables Michael to set the length of the wood block precisely. 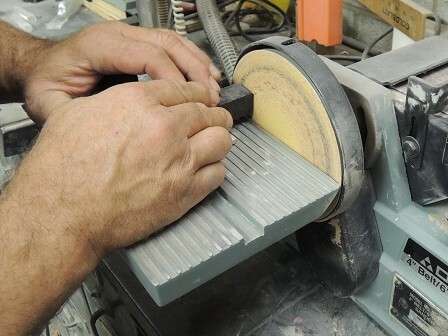 Unlike a crude cutting machine such as a saw, the sander is able to remove less than one one-thousandth of an inch of wood. 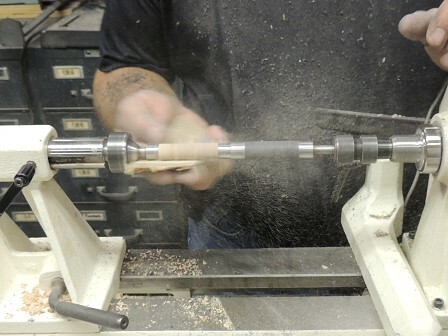 Once the length of the block of wood matches the length of the brass tube, Michael puts the block of wood on the lathe. On each end of the block of wood on the lathe there is a bushing. The outside diameter of the bushing matches the outside diameter of the pen kit he is using for this specific pen. 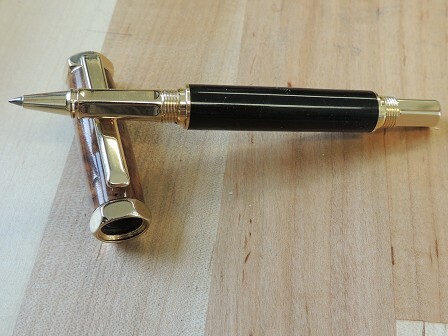 For this pen, Michael will actually turn two blocks of wood on the lathe. The bushings he is using here are for the specific pen he is building. 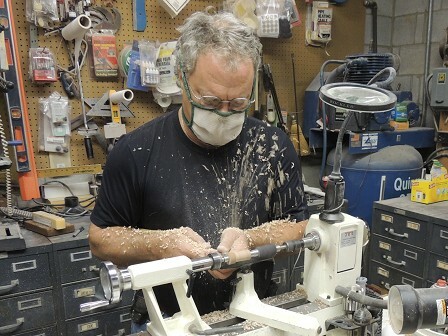 Using the lathe, Michael turns the blocks of wood down to the exact diameter of the bushings. The turning process is very slow and precise. 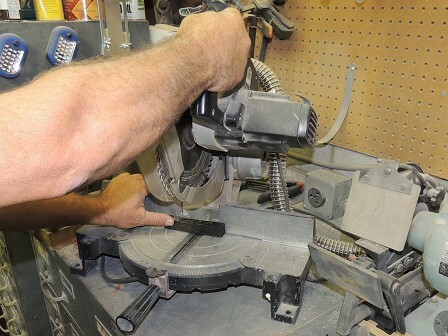 Note the guide that Michael uses to support the knife as he carefully reduces the blocks of wood down to the dimensions of the bushings. Then he starts his sanding process. For the pen shown here, Michael starts with a very coarse 80-grit sand paper. He repeats the sanding process with 16 progressively finer grits until he finishes with a 25,000-grit sand paper. Then he moves on to a multiple step liquid buffing and polishing process that results in a pen surface that is contact lens quality. 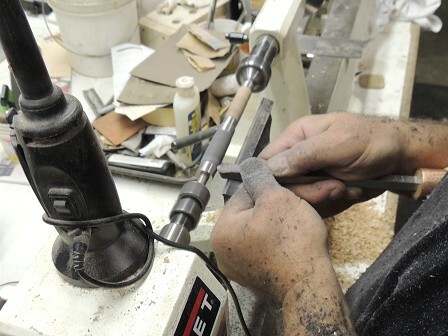 Once the buffing and polishing are completed, Michael carefully assembles the pen. As you can see here in the picture, Michael has a special assembly jig that helps him precisely position each component of the pen. These pens are made using the same components that Montblanc uses in their pens. All these pens use either Parker or Cross refills, so pen refills are available anywhere. But if you bring your pen back here to Michael's workshop, he will provide you with a free pen refill. Michael will also polish your pen and make it look brand new again. Michael's products have a lifetime warranty, and they are all truly one-of-a-kind. They are personal, functional, unique, affordable gifts.